1. Tell us about your journey from studying in top schools and colleges to being the India CEO of 5th Element Group. My journey has been fascinating. I was lucky to get scholarships to study at top schools of India and the United States - So, most of my education was free! Thanks to the incredible India / USA education system which allows folks to study on meritorious scholarships. I have always loved building and running purpose-businesses which lift people and bring smiles on their faces. I started my entrepreneurial journey when I was 18 and have cofounded 3 ventures since then. Post my MBA, I ran a 50 million dollar line for TATA Sky by heading their Trade Sales for Delhi. A few months back, I was appointed as the India CEO of a United States 5th Element Group. I'm really excited about this new adventure and to lift millions of people through my new role. 2. What does 5th element group do, how is it helping meet the UN's sustainable development goals and creating a global impact? 5th Element Group is a global impact accelerator that creates “traffic on the bridge” between KPI-driven performance and SDG-aligned impact. SDGs stands for Sustainable Development Goals of the United Nations. Through 5thelement.group, we are redefining the way brands spend money! We create innovative omniwin marketing solutions for brands to amplify their brand warmth by unlocking millions of dollars for social causes using the shared language of the UN Sustainable Development Goals. So, we are mobilising millions of marketing dollars to solve challenges of the planet like hunger, quality education, gender equality, access to clean water, etc. 3. You started India Needs You when you were 18. What does INY do and what have you been able to achieve with it? 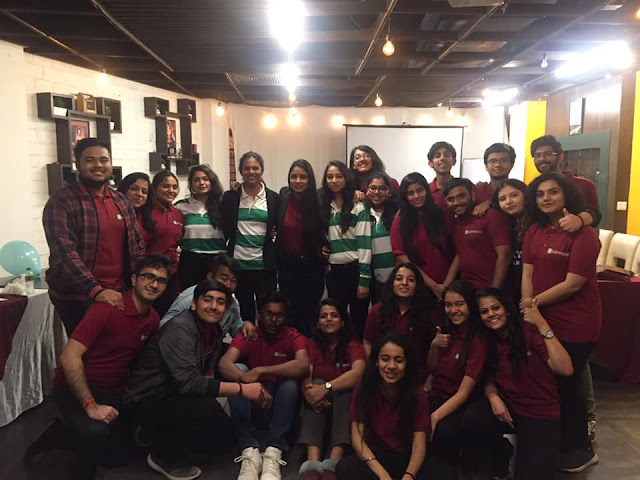 India Needs You is an award-winning leadership movement to equip young adults with a leadership toolkit and create the next generation of leaders which shall be critical to India's growth story. As CoFounder / Chairman of INY, I have hosted 15+ impact convenings in the spaces of law/entrepreneurship/ public policy/women empowerment and have equipped 25k+ young adults with a leadership toolkit. Our aim is to reach a million young adults by 2023 and transform India by using the demographic dividend of the youth. 4. What challenges have you faced in your career and what was your motivation towards working on creating a social impact? One of the biggest challenges I faced when I started my entrepreneurial journey was to embrace and overcome "loneliness". Being an entrepreneur can be lonely initially but now I have so many world-changing entrepreneurs as friends, and I am a part of amazing networks with some of them being World Economic Forum Global Shapers, Nobel Peace Prize Forum delegates, Skoll World Forum delegates, Climate Reality Leaders, Startup Leadership Program Fellows, amongst many others. Since I was a kid, I always used to ponder on the problems that exist for mankind - lack of quality education, lack of access to clean water, no access to light, gender inequality, lack of well-being, hunger, and many more. So, when I was 18, I decided to take upon them, and solve them, one at a time. 5. At such a young age, you have led two businesses. How have you climbed up the ladder so quickly? I believe age is just a number and combining my passion with my work has really helped me. Most of the times, young folks take up jobs they don't love just for money - That can never help you succeed in the long run. What's worked for me is having a clear vision/mission, taking calculated risks to advance towards the mission, Never Give Up attitude when I face hurdles, and having a lot of amazing mentors as my guiding light. 6. What is your advice to our young readers on how to approach their career? Take up a job that you love, not which pays you the most! Don't be afraid of challenges, NEVER GIVE UP, always Ask for help and have good mentors, Take calculated risks, and always Believe in yourself. If you believe in yourself, the world will believe in you! Always set goals for yourself which seem IMPOSSIBLE. We rarely unlock our true potential unless we are forced to overcome what seems impossible. 7. How is Pratik as a person different from Pratik as a CEO? Incidentally, I am exactly the same as a person in my personal life and my professional life as a CEO! CEO for me is Collaborate, Experiment, Own. I am, have always been, and will be a CEO ( Collaborate, Experiment, Own) all my life - whether I'm planning a dinner with my friends, playing table tennis, working in a big company, or running a startup. Invited to the United Nations, Skoll World Forum, and Nobel Peace Prize Forum to represent India, Pratik is the India CEO of United States based 5th Element Group, and CoFounder/Chairman of India Needs You - an award-winning leadership movement. 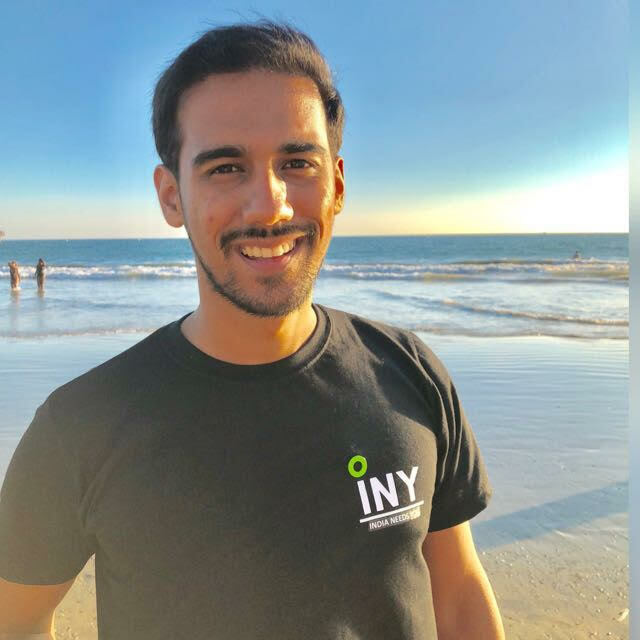 Pratik has been recognised as Asian Youth Inspiration by Nepal’s Vice President, Global Shaper at the World Economic Forum, Climate Reality Leader trained by US Vice President Al Gore, Fellow at Startup Leadership Program, ChangeMaker at Global Action on Poverty, amongst others. Through 5thelement.group, he is helping create the 5th Industrial Revolution by working with brands to amplify their brand warmth by unlocking millions of dollars for social causes using the shared language of the UN SDGs. He is using frontier technology to engage the bottom billion in creating quantum leaps for humanity, and for a better planet. Through INY, he has hosted 15+ impact convenings in the spaces of law/entrepreneurship/public policy /women empowerment and has equipped 25k+ young adults with a leadership toolkit. Pratik is a public speaker and his works have been covered by the World Economic Forum, Real Leaders magazine, NASDAQ, Horasis, The Climate Reality Project, Business Today, YourStory, Bloomberg, Times of India, several IITs/IIMs, amongst others. He is an established writer and contributes to Real Leaders, World Economic Forum, MIT Technology Review, amongst others. 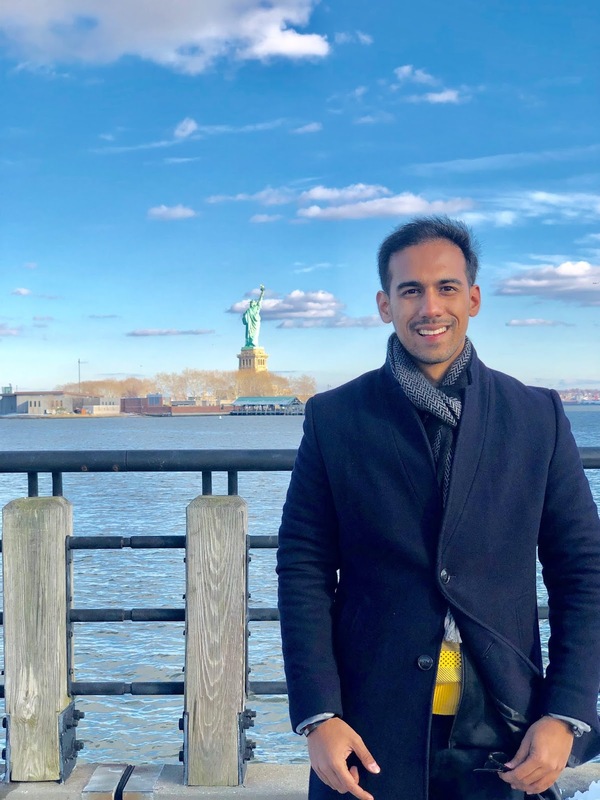 Pratik holds an MBA from the Indian Institute of Foreign Trade, Delhi and a Certificate in Strategic Management of Non Profits from the University of Chicago.